Inline with the vision of the Group, JIIT / JBS has signed MOUs with several leading universities in India and overseas. JBS believes in the power of academic networking around the globe and is in discussion with several universities for exchange programs and other collaborations for our students and faculty. 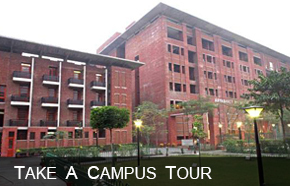 Student exchange programs exist with select 'B' Schools globally. University of Westminster, UK Faculty Development, Joint delivery of PG programme,Consultancy etc. in the area of IT , Business Intelligence etc. University of Florida, USA Academic Collaboration including student exchange, Joint conferences etc. The Alliance of 4 Universities (A-4U) of Spain institutions in India with the Spanish Universities to develop academic and cultural interchange in the area of education, research and other activities.